Well-deserved spot as the number one restaurant in Siena. We had a delightful long lunch. The restaurant is in situated in a cellar and has great ambience. Food was excellent especially the game meat. The place was very busy and may be a good idea to book ahead to avoid disappointment. Some have mentioned the tiramisu as being the best in the universe, not quite. 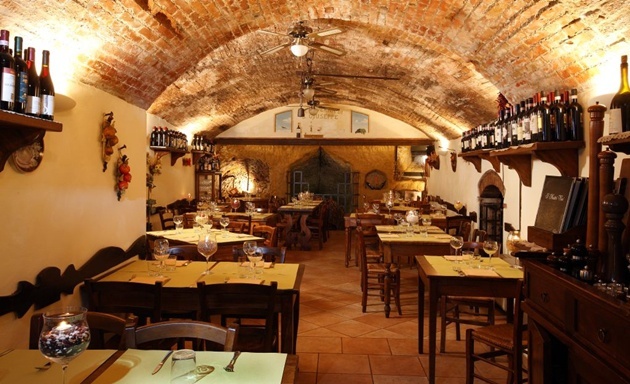 Be sure to make a reservation at this classic taverna in Siena for a fun dining experience in an old wine cellar like structure. The food, service and wine were all great. Consider going for lunch instead of dinner. Wow, this looks like an awesome place!